Aristotle Schwartz leaves. Malcolm X debates. The Chicago Seven feast. Maroon reporters were there. Late-night print runs are a Chicago Maroon legend. Before Apple II, editors trekked out to an off-site printer’s office to oversee production: "It was all-night," remembers 1969–70 editor in chief Caroline Heck Miller, AB’71, who first ate McDonald’s during graveyard excursions to Hinsdale, Illinois. Maroon editors through the years remember devoting hours to the student newspaper, which traces its history back to the University’s founding. Their hours of toil resulted in articles that have informed, entertained—and sometimes deeply irritated—the UChicago community. What was it like to report these classic stories? What did they mean? Alums from three generations tell the Core. "Last Queer Kid Leaves Campus" was an odd headline and an equally puzzling front-page image: a man, hunched over with his back to the camera, wearing a long trench coat, fedora, and pants that bagged at the ankles. Clutching two heavy travel bags, the subject, identified as Aristotle Schwartz, was described as "a 1953 entrant under the OLD BA plan" who had been "escorted by three campus police Tuesday morning to the corner of 57th and Woodlawn and pointed northwest. He was given a CTA token and a warning never to return to campus again. Schwartz was the last victim in a campus-wide queer-kid proscription initiated by the administration last August." Published in the Maroon’s alter ego, the Chicago Charcoal, on April 1, 1955, the article was, of course, a gag. Nevertheless, Palmer "Spike" Pinney, AB’54, then news editor, says that it revealed something genuine about the mid-1950s undergraduate experience. Inspiration for the piece, which featured Maroon staffer Robert Quinn, AB’55, AB’56, as Aristotle, had come the previous spring. Speaking at the annual Order of the C banquet, chancellor Lawrence Kimpton reportedly proclaimed that "this school has attracted every goddamned queer kid in the area." When contacted by the paper, Kimpton denied having made the statement and offered a clarification: "I said only what I have said many times before—that the undergraduate enrollment has fallen, and the reason it has fallen is due to the erroneous impression that we are a school for quiz kids. When I went around the country, I tried to combat this ‘quiz kid’ impression. I want a broad cross-section of young, healthy Americans." Pinney, who attended the banquet as a member of the soccer team, doesn’t recall Kimpton’s exact words, though he does remember a high hurdler on the track team rising to his feet in protest. (He also notes that if the chancellor did use the term "queer," he "probably meant scruffy and nerdy rather than gay.") According to Pinney, the comment came at a time when many undergraduates were already upset about Kimpton’s decision in the spring of 1953 to move from the College’s all-Core curriculum, instated by former chancellor Robert Maynard Hutchins, to a more conventional system that included one to two years of specialized study. The Maroon of the mid-1950s ran many news stories about the new bachelor’s degree, including covering student protests against it. But, says Pinney, rarely did the paper portray how it actually felt to be a student caught in the middle of administrative change; the Schwartz article, he says, was "a brilliant exception." The 250-word piece soon took on a life of its own. When Pinney became coeditor in chief as a graduate student in 1955, he and his counterpart, the late Joy Burbach, AB’54, AB’55, AM’56, received several Schwartz-related letters. A student wrote to the paper under the alias Bessie Schwartz, asking whether anyone had seen her brother. Responses came in, reporting Schwartz sightings in Seattle, Philadelphia, New York, and suburban New England. 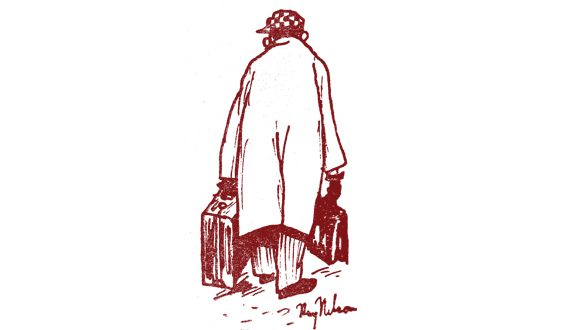 Alongside the letters, whimsical illustrations by Maroon cartoonist Ray Nelson, AB’60, depicted Aristotle traversing the country in his trademark coat and hat. Meanwhile, the Red scare gripped America. Richard Ward, AB’55, AB’60, the Maroon’s managing editor for two years, remembers the April 9, 1954, edition, which examined how McCarthyism and House anti-Communist investigations were hindering academic freedom and civil liberties. The front page featured an overlay of a green feather in support of Robin Hood; a member of the Indiana Textbook Commission had proposed to ban the story, arguing that its theme of robbing the rich to help the poor reflected communist principles. At the time, most Americans knew little about life behind the Iron Curtain. But Ward had an insider’s view after traveling there with six other college newspaper editors in late 1953. "I read someplace that only 38 private American citizens—those who did not have diplomatic status—had entered the Soviet Union in 1953, and that would have included the seven of us," says Ward. During a National Student Association conference earlier in the year, Ward began planning the trip with editors from Swarthmore and Vassar. He took responsibility for securing the group’s visas and passports and had to seek approval for the trip from both the Soviet embassy and the State Department. He traveled to Washington, DC, first obtaining visas from the embassy and then heading to the State Department to meet with Ruth B. Shipley, chief of the passport division. "Someone higher up had obviously told her to give these guys their passports, but when I arrived she had a stack of files about one inch thick on each of us—the FBI had investigated us all and been satisfied that we were just ordinary students," he says. Ward brought with him copies of a loyalty oath that the State Department had asked each editor to sign, assuring that he had never been a member of the Communist Party. 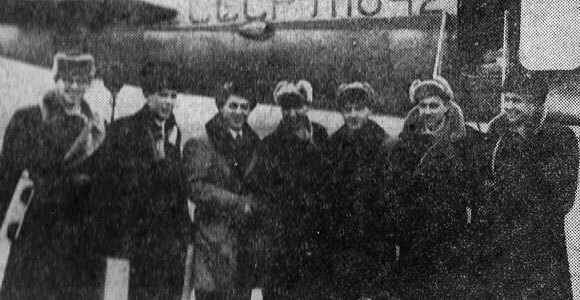 Ward and the others flew out of New York on December 25. 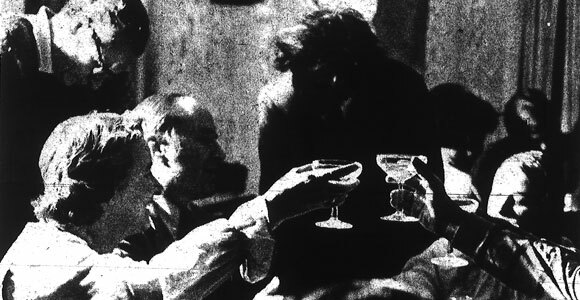 After five days in Moscow, the editors split into two groups, with Ward’s heading to Leningrad, Belarus, Ukraine, and Georgia. Ward visited eight schools, several factories, and a collective farm. The Soviet Union, he says, "was changing rapidly. Stalin was dead, and they were releasing people from prison fairly regularly." When the editors met Charles Bohlen, the US ambassador to the Soviet Union, he was "very surprised at the places we were able to travel to," says Ward. "I think the Russians had—without informing anyone—opened up areas of the country that had been previously closed off." Although the editors were accompanied by Soviet tourist agency guides, they planned their own itinerary and "were able to go any place we wanted to," he remembers. In a series of five Maroon features, Ward chronicled his experiences, including meeting with Dmitri Shostakovich following a Moscow performance of the composer’s Tenth Symphony. He "was shy but friendly during the interview," wrote Ward in a February 19, 1954, article. "He told us that he liked Copland and Gershwin." Throughout the series, Ward avoided political commentary, focusing instead on everyday details of Soviet life, such as a record shop where he purchased an album of the opera Boris Godunov for 40 rubles, equivalent to $10 at the time. His articles, Ward says, received only a modest amount of feedback from fellow students: "They were at the University basically to prepare for their livelihood. Even though the Maroon was distributed free on campus, I don’t think most students read it." Pinney describes the Maroon under his tenure as editorially ordinary in spite of good writing and wonders whether the paper could have used more satire, à la Aristotle Schwartz, to put a lively twist on the 1950s UChicago experience. He even imagines a collaboration between the newspaper and the Compass Players improv group: "What if the Maroon had commissioned and printed a Compass skit in which Hutchins returns to his old campus residence to retrieve his galoshes and falls into a conversation with Kimpton about changes at the University? Just asking." On February 15, 1962, Jay Greenberg, AB’63, editor in chief of the Maroon, arrived at a Woodlawn restaurant to eat lunch with Malcolm X. The Nation of Islam leader planned to visit UChicago as part of a college speaking circuit, with previous stops at Brown, Harvard, Howard, and Yale. He was slated to debate Willoughby Abner, a civil rights activist and former head of the Chicago NAACP, in Mandel Hall on the topic "Separation or Integration." During the pre-debate lunch—which Malcolm X paid for, explaining that he did not want a white person buying him a meal—the leader painstakingly outlined the Nation’s separatist views. The Nation of Islam, Greenberg says, was considered "way out there," a demagogic movement led by firebrands, but Malcolm X "didn’t come across that way at all. He wasn’t warm, but he was certainly engaged. He was trying to be a teacher. He knew very well that he was talking to somebody who was sympathetic to and even a part of the civil rights movement, but who was also on the other side of the divide from him in terms of the integration versus separation question." The crux of Malcolm X’s argument, says Greenberg, was "that white people will go so far with us, but they’re not really going to invite us into their power structure, so what we have to do is develop this for ourselves." Greenberg recalls Malcolm X as "extremely impressive" and remembers feeling "surprisingly persuaded." 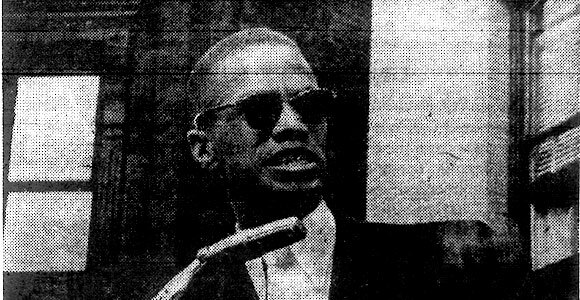 On February 16, the day Malcolm X debated Abner, Greenberg published a front-page story that characterized the Nation of Islam as a "misunderstood force." He wrote that "in essence, the movement is a responsible one; many of its arguments are reasons rather than rationales." He also wrote that, although many were wary of the Nation of Islam, the movement was nonviolent and most of those fears were "totally unfounded." The article angered many on campus—even a previous editor objected. But it was not the first time Greenberg had been accused of supporting a radical viewpoint. In the early ’60s, political activism was picking up steam nationwide, but few UChicago students, says Greenberg, could be called activists. "We were trying to stir the pot," he says of Maroon staffers. Greenberg and other editors of that era, Ken Pierce, AB’63, AM’67, and Avima Ruder, X’62, agree that the Maroon of their generation offered strong opinions as often as straightforward news. "There were very long, ranting editorials, very passionate," notes Greenberg; as editor, he increased the paper’s publication from two times a week to four, an arrangement that lasted two years. "The early part of the ’60s were interesting times in a good sense," says Pierce, who preceded Greenberg as editor and spent several post-Chicago years heading the Columbia Journalism Review. "It was because we were hopeful. We could do so much, we felt." During the 1961–62 school year, they did. The previous year, a Maroon staffer doing clerical work in an administrative office saw a copy of the University budget, and "we discovered that the University owned a lot of segregated apartment buildings," recalls Ruder, who served as production editor and managing editor. "It was really bizarre because our student population at that point was largely white, but there was no segregation," she says. "There weren’t separate dorms for African American students—if someone had suggested that, people would have been appalled." Concerned that administrators would connect their staffer with the leaked information, the editors decided against immediately reporting the story. Instead, they gave the apartment addresses to Student Government, which teamed with representatives of the UChicago chapter of the Congress of Racial Equality (CORE) to conduct six test cases in which African American students attempted unsuccessfully to secure apartments in the identified buildings. Student Government and CORE confronted President George Beadle with their findings and demanded that the buildings promptly be desegregated. The Maroon broke the story on the January 17, 1962, front page with the headline, "UC Admits Housing Segregation." In an article the following week, Beadle agreed with the students’ concerns, stressing the University’s nondiscrimination policy and the difference between on-campus housing, which was open to all, and commercial residential properties acquired by the University, many of which had existing segregation policies. "The only issue on which there is arguable difference of opinion," he said, "is the rate at which it is possible to move toward the agreed objective without losing more than is gained." Unsatisfied with Beadle’s call for "planned, stable integration," protesters conducted pickets and a series of sit-ins drawing about 30 people outside the president’s office in the Admin Building; the Maroon printed front-page updates until February 6, when protesters agreed to halt the sit-ins and work with the president to find a solution. The next fall, the paper reported that Beadle had accepted a faculty committee recommendation to immediately desegregate all University-owned apartments. The Maroon’s role in discovering and sharing the information, says Ruder, was never discovered. "Chicago 7 Free on Bail," blared the March 1, 1970, Chicago Tribune. The Chicago Seven trial had played out in the downtown Federal Building, with seven defendants—previously eight, before Bobby Seale was removed from the trial—accused of conspiring to cross state lines and incite a riot during the 1968 Democratic National Convention. After a high-profile trial that featured flamboyant theatrics on the part of the defendants, the Chicago Seven were cleared of conspiracy charges, but five were found guilty of a lesser charge and all faced jail time for contempt of court. On February 28, the defendants were released by the US Court of Appeals, which later overturned the convictions. The March 1 Tribune article said nothing about how the alleged conspirators spent their first night of freedom, but readers of the Maroon soon found out. The Saturday of their release, Steve Cook, AB’72, then associate news editor, heard from a fellow student that one of the defendants was at the Court House restaurant on Harper Avenue and 53rd Street. He grabbed Maroon photographer Steve Aoki, AB’72, SM’73, PhD’79, and the two headed over and "crashed the party." Eventually, all the Chicago Seven filtered into the restaurant; as they ate beef fondue and sipped champagne, Aoki snapped pictures and Cook recorded the celebration, down to the kiss a student planted on defendant Abbie Hoffman’s cheek as he walked out the door. Their article appeared on the Maroon’s front page on Tuesday, March 3. "We thought we were intrepid reporters covering a hot story that should have been on the front page of the Tribune, but they weren’t around so we got it," recalls Cook, who became editor in chief the next fall. From the late ’60s into the early ’70s, he says, the University was a microcosm of the national environment of politics and protests—a fervor that gave the Maroon staff "raw material, energy, and a reason to be." During the 1969–70 academic year, the Maroon covered not only the conspiracy trial, but also a massive student antiwar rally in Washington and the days of rage demonstrations in Chicago, led by the radical Weatherman faction of Students for a Democratic Society (SDS). The demonstration turned violent when protesters clashed with police. "It was brutal," says Cook, who saw city attorney Richard Elrod break his neck during a run-in with a protester. On campus, Maroon staffers—who had spent long, exhausting hours reporting the previous winter’s Admin Building takeover—covered student activism: an SDS picket in support of cafeteria workers, a series of antiwar moratoriums, a weeklong boycott of classes to protest the war’s expansion into Cambodia. But Caroline Heck Miller, AB’71, editor in chief in 1969–70, didn’t see the paper as a polemical organ: "A number of us certainly had very marked political opinions, but there was also a value set on having an objective newspaper. Although it was a time of great political activity, we tried not to be politically activist as a paper." That attitude, says Miller, wasn’t always appreciated by fellow students, who occasionally booted her from meetings when she didn’t express explicit support for their initiatives: "There were a lot of people who felt that if you weren’t a partisan, you were part of the problem." She remembers an SDS vaudeville skit whose "figures of iniquity" included "John D. Rockefeller, the Shah of Iran, and Caroline Heck, the editor of the Maroon," she says with a laugh. "There were days when doing what we had to do didn’t make us any friends," says Cook, who remembers students ranting at him and other Maroon reporters as they covered the disciplinary hearings following the Admin Building takeover. Although the editorial staff didn’t agree about everything, "we watched each other’s backs. When the bricks came down, we would stand together." Periodic backlash aside, Cook and other editors of the era agree that the Maroon of their generation was at the heart of campus life. Cook calls his time on the Maroon an amazing era in the newspaper’s history, pointing to the skill of his fellow reporters as well as striking photography by Aoki and David Travis, AB’71 (who went on to chair the Art Institute’s photography department). Cook also notes the arresting design work of Roger Black, X’70, the 1968–69 editor in chief who became a well-known graphic designer for publications including Rolling Stone and Esquire. And amid the chaos, there were moments of hilarity. Susan Loth Wolkerstorfer, AB’72, a Maroon reporter who is now business copy chief at the Star Tribune (Minneapolis), recalls a piece in the January 23, 1970, issue with a headline, "Beware the Vice Men Who Come with Night." The article, as narrated by one of the victims to an unnamed Maroon reporter, described how two plainclothes cops combed his house in search of narcotics and busted him and a friend for possession of tetracycline acne medicine. "There were seven guys living in this house," explains Wolkerstorfer. "There was a lot of foot traffic in and out, and the cops noticed it one day and thought, ‘Oh, no, something nefarious is going on.’ They went in and busted the house because they figured drugs were being sold there, which they weren’t. But they went to the medicine chest, found some prescription medicine and said, ‘Ah-ha! Look at this!’" The students spent two hours in jail before being released. "Suffice it to say we rarely ran anonymous stories with anonymous subjects," says Wolkerstorfer, "but it was absolutely true."